On Sept. 9, Carnegie Mellon opened its doors to a variety of volunteer organizations, turning Rangos Hall into a venue for creating communities through volunteering and providing services that help benefit people all over Pittsburgh. It is an annual tradition that brings dozens of organizations to meet the different interests of the diversity of students on campus. Some of the organizations present were Gwen’s Girls — which works to empower girls ages 8 to 18 to have productive futures through gender-specific programs, education, and experiences — and Dress for Success, which donates professional clothing to underprivileged women so that they can feel more comfortable in their work environments. Jaime Rhodes, the development manager for the Crohn’s and Colitis Foundation, discussed the importance of fairs like this one. Katherine Forsyth, a first-year biology major, agrees with that sentiment. 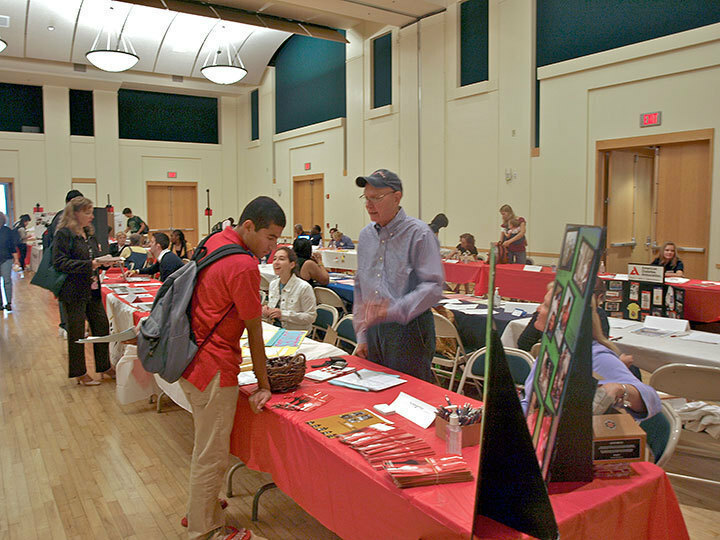 Students who weren’t able to come to the fair still have a variety of options available to them to get information on various volunteering opportunities on campus and in the Pittsburgh area. Elizabeth Vaughan, a coordinator for Student Activities, wants students to know that if they ever have a question about volunteer opportunities, they are welcome to come to the office of Student Activities located in the University Center. For students who are worried about the time commitment but still want to get involved, Student Activities has set up a Service Saturday, when they transport students to a different volunteer location every Saturday morning. Students can work every weekend or just once. Jim Bruhn, a volunteer and basketball coach for The Pittsburgh Project, an organization that works to build a community in which people can feel safe sitting out on their porches, said he was happy to be at the fair. “I am touched by the number of CMU students that visited the fair. Successful volunteer programs in the past include the 1000plus program from last semester. The campus participates in one day of service in which many activities are occurring in Pittsburgh as well as on campus. The goal of the program is to get 1000 students to volunteer for the day. Check with Student Activities for information about 1000plus and other volunteer opportunities.